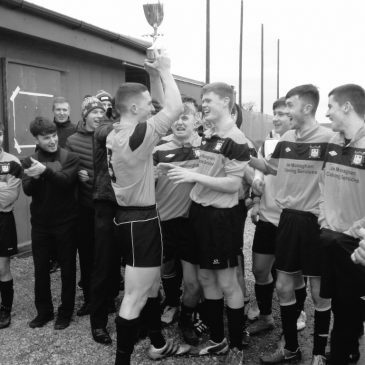 Our U15 Soccer team followed their Senior counterparts by winning the Midlands title after a 2-0 win over Naas CBS on Monday January 30. Scorers were Nathan Anyanwu and Josh Minihan from a penalty. 3rd Year students Nikita Grinfogels and Zach Giles are representing the school at this year’s BT Young Scientists Competition in the RDS until Saturday.